Finally, we bring to you a tunic design that spells - Elegance with its under-stated, beautifully delineation by Snehal Creation. 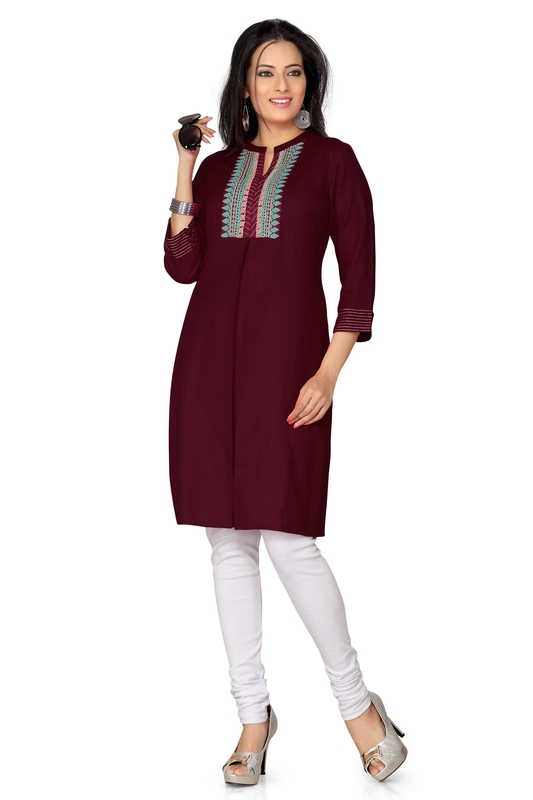 The tunic comes in a traditional kurta style with a kurta-collar and cuff sleeves. The neck panel is decorated in a beauteous fashion with rama green and beige embroidery. The cuffs are adorned with button designs. A single silhouette is well placed at the base of the neck panel and gives the kurta the much needed stylish edge. Simplicity at its best is just a click away here.